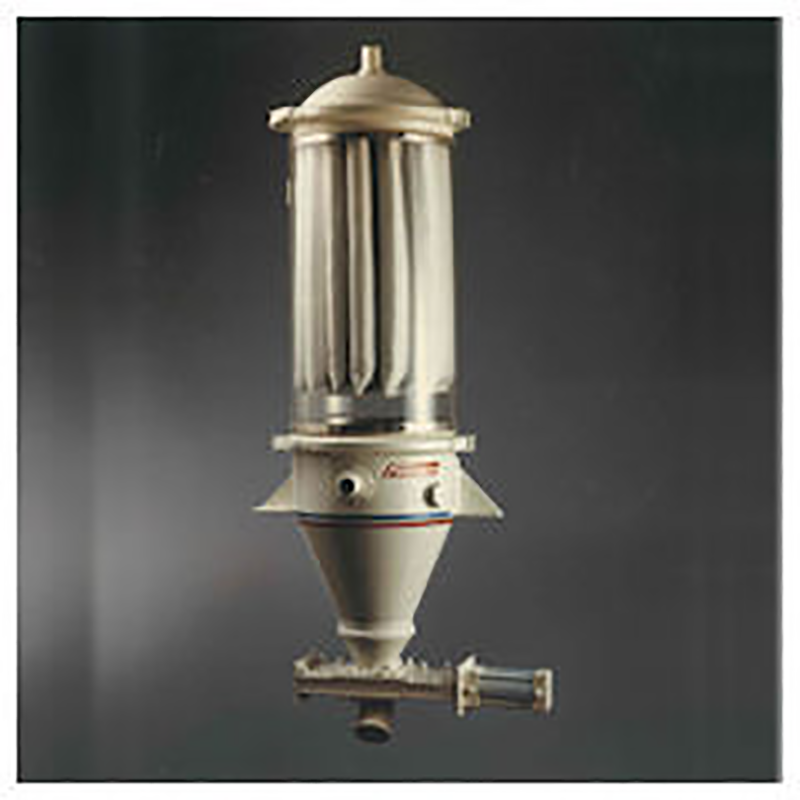 Powder Type Vacuum Chamber – Foremost Machine Builders, Inc.
Foremost offers VPC Powder Type Vacuum Chambers for powder or dusty regrind materials. Aluminum chamber cone and filter section construction. Multiple bag or cartridge type filter with accumulator tank, solenoids, and pulse control for automatic filter cleaning after loading sequence. Replaceable cast aluminum material inlet and vacuum outlet connections. Cast aluminum dump throat, flapper with counter weight. Quick release band clamp for lid attachment. Available in 0.6, 2.0, 4.0,6.0 and 8.0 cubic foot capacities. Carbon steel filter section construction. End point control proximity switch. Air operated knife gate discharge. Lid mounted vacuum control valve. 4 micron Polyester (25-40 cfm/sq.ft flow capacity). 2-3 micron Tef-Tex (25-35 cfm/sq.ft flow capacity). 2-3 micron Tef-Tex (25-35 cfm/sq.ft flow capacity) with copper ground strip. 0.5 micron Por-Tex (7-12 cfm/sq.ft flow capacity). 0.5 micron Por-Tex (7-12 cfm/sq.ft flow capacity) with copper ground strip. BHA-TEX PTFE membrane bonded to Spunbond Polyester.